AJA’s ROI-SDI Scan Converter allows exceptionally high quality conversion and extraction of a Region of Interest (ROI) from a 3G-SDI input to 3G-SDI and HDMI mirrored outputs at an affordable price in a very portable form factor. With incredible image scaling, extensive aspect ratio conversion and audio functionality, ROI-SDI fulfills the growing need to customize video signals for a range of display and SDI workflow needs without sacrificing budget or space. Rotate source signals, customize a portion of an image or reframe the source image to extend the creative options for what’s been captured in camera. 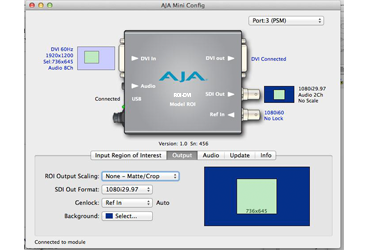 Connecting a ROI-SDI Mini-Converter via USB to a computer running the free Mini-Config application lets you interactively select a Region of Interest from the original signal and have full control over how that region is scaled to the output resolution using AJA’s high quality scaling algorithms for the cleanest picture quality possible. Take full control of aspect ratio conversion with on-screen controls in the Mini-Config software that show you exactly what your source and output will look like and what formats are coming in and going out. 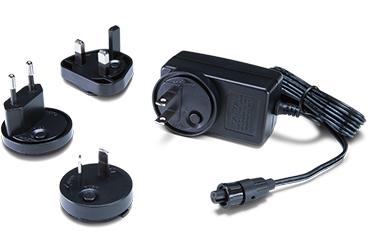 Simple menu controls let you quickly choose the proper output for any situation. 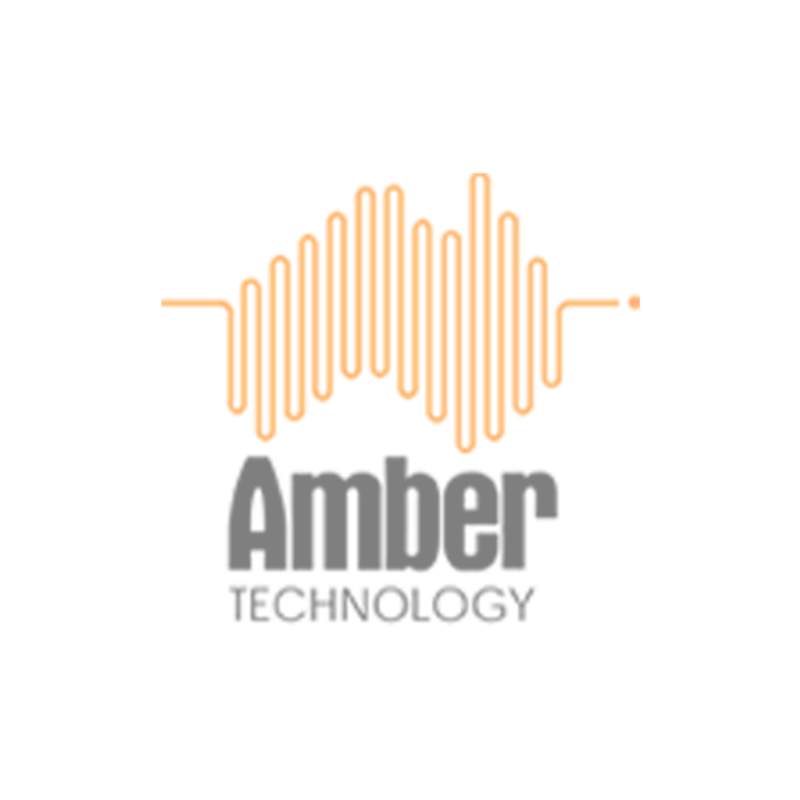 The output will be mirrored to both the 3G-SDI and HDMI outputs for simultaneous delivery to multiple displays or continuing signal paths. 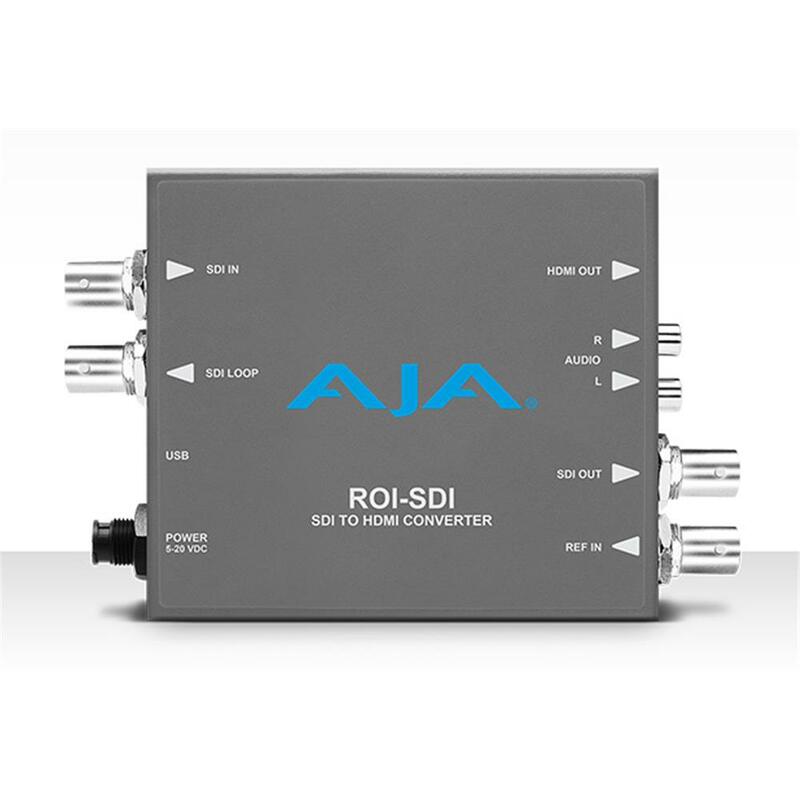 ROI-SDI utilizes a direct 3G-SDI loop through, allowing it to be placed in-line so you still have a connection to an external monitor while extracting to both 3G-SDI and HDMI. 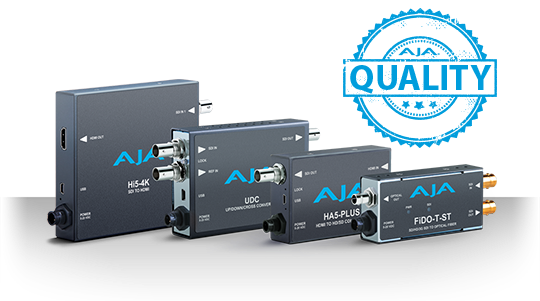 The reference input ensures the 3G-SDI signal out of ROI is locked for use throughout a production or facility. 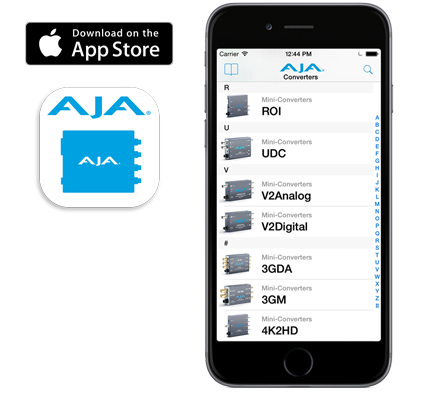 Individual products have links back to the main AJA website for more details and you can email product information directly from the app.